Cost, safety, and adaptability are key considerations when designing and deploying a DAS installation. 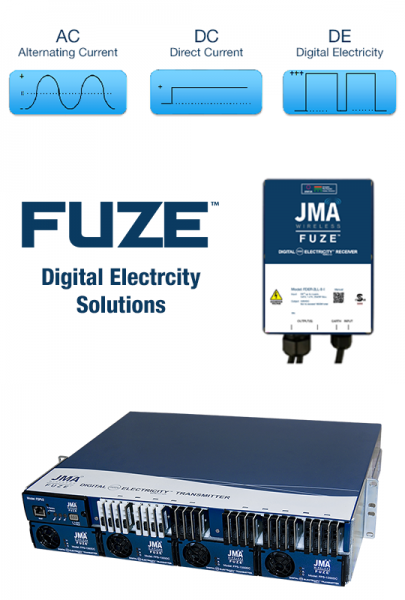 JMA Wireless Digital Electricity™ remote powering solutions drastically reduce equipment, labor, and cable costs in a revolutionary, digital-packet-transmission system that powers remote units through copper conductor cable. Digital Electricity™ is highly adaptable and scales to meet the requirements of buildout, with modular transmitter cards that allow the solution to grow to meet any venue requirements. Digital Electricity™ means safe power over long distances, that doesn’t require conduit and doesn’t require certified electricians for installation. JMA Wireless DAS now deployments feature the ability to conveniently route power and fiber easily to remote locations up to one mile away. The innovative and patent-protected Digital Electricity™ remote powering solutions enable the quick installation of truly heterogeneous networks (HetNet) in mixed 4G LTE plus Wi-Fi projects. By packaging these technologies, Digital Electricity™ provides our customers with a seamless, secure, and safe means of transmitting power over long distances at a low cost.